To many homeowners in a hot seller's market, selling their home on their own seems to make a lot of sense. 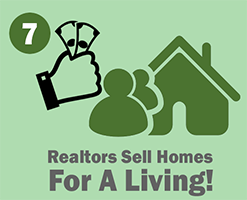 They believe that they'll be able to sell their home easily, will receive whatever their asking price is (or more), and can complete the transaction without ever paying a Realtor's commission. In fact, this is the number one reason people attempt to sell their homes on their own...they believe that the commission will reduce their net return too much. However, the data does not support that belief...in fact, the statistics demonstrate that exactly the opposite is true. For Sale By Owner (or FSBO) listings usually net far less than they should. 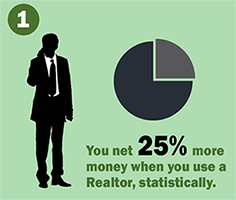 You Net More Money When You Use A Realtor. FSBOs accounted for 8% of home sales in 2016. The typical FSBO home sold for $190,000 compared to $249,000 for agent-assisted home sales. Did You Know: The Founder Of ForSaleByOwner.com used a Realtor to Net More Money? Colby Sambrotto, the founder of ForSaleByOwner.com, attempted to sell his home as a FSBO. At a list price of $2 million, the home languished on the market for 180 days, without success. When he finally decided to list it with a Realtor, Jesse Buckler, the home sold for $150,000 more than Colby's original asking price...an increase of 7.5%, more than enough to pay the commission fees! The reason most FSBOs end up listing with a Realtor is the same reason many people don't last long in the business, as real estate agents. It's not as easy as HGTV makes it look! 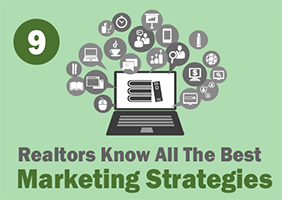 If 89% of FSBOs eventually list with a Realtor, and the average sale is almost $60,000 less than an agent-assisted sale, are you still eager to spend the marketing dollars, time and effort trying to do it yourself? 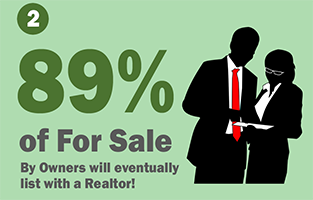 The small percentage you hope to save by not working with a Realtor can easily be lost when the time comes to negotiate with a skilled buyer's agent, or worse, an investor who smells a potential deal with FSBOs. That's 9 out of every 10 buyers! This means that the chances are good that you will be asked to pay a commission, to get them to bring their buyers to see your home. Most buyers are accustomed to not paying the commission, and will not consider a FSBO who is also hoping to avoid paying one. So you will end up paying a commission to an agent whose only goal is to represent their buyer's best interests and attempt to get the best deal possible for them. They will undoubtedly offer below what you are asking for, and will push you to accept it, expecting that you are not entertaining multiple offers. Realtors keep an eye on FSBOs and when your home has been on the market longer than a month, they can smell a bargain. In this scenario, are you really saving money by not employing a Realtor to protect your interests and market your property to its fullest potential? The day before closing and suddenly, the home has a laundry list of problems that need to be addressed. What do you do if you manage to get your home under contract as an FSBO, but run into problems? Many times, investors will use this strategy to tip the negotiation to their favor and talk a seller down further off their asking price...and sellers are apt to agree, because they've spent so long waiting and now have a "bird in the hand" that they aren't willing to walk away from. The buyer then uses their objections to get out of the deal, and you are left holding the bag. Have you heard of companies that offer to sell houses quickly for cash, no matter the condition? They feast on FSBOs. 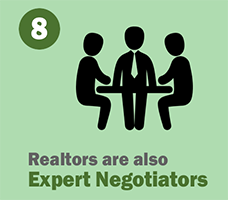 With a Realtor in your corner, there will be no surprises at the closing table, because they will have predicted all of the potential pitfalls and help you avoid them...and protect your interests when a savvy buyer or buyer's agent hopes to take advantage of your lack of representation. 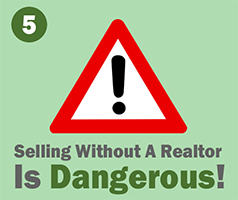 There are dangers when you sell as an FSBO. They go far beyond losing equity, but also place homeowners at risk when showing the house to unaccompanied strangers, theives, and potentially worse. You are giving access to your home to anyone who wants to see it. It isn't uncommon for real estate transactions to end up in legal battles, which can cost you attorney's fees that you would not have paid, had you employed a Realtor. Not because the 11% of FSBOs that actually make it to the closing table aren't smart people, they just don't have the pool of experience to draw from that a Realtor does. 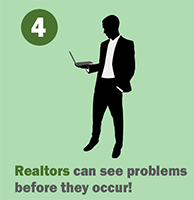 Realtors can see the issues coming before they occur, and mitigate the odds of any legal action surrounding a transaction...in addition to netting you more money. Realtors don't exist on an island. We work together on both sides of the transaction, attend many of the same social events, and network with each other. It isn't that uncommon for a Realtor to reach out to others who they happen to know have clients looking for a property just like yours, and get you a maximum offer before the property ever hits the MLS! Many times, all that is required is a mass email to other local Realtors, to maximize the interest in the property and potentially spark a bidding war. 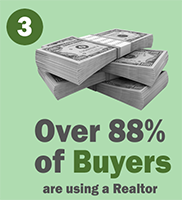 Knowing the type of buyer your home would appeal to, and other Realtors who are working with those buyers, gives you a distinct advantage over FSBOs. Trust me, I do this for a living! When you do something all day, every day...when you make it your life's work, you tend to get pretty good at it. Realtors master every aspect of conducting real estate transactions, from the marketing, terms and conditions, documentation requirements, contracts and procedures. They are required to take continuing education every year, and must stay current on the latest trends and market conditions. 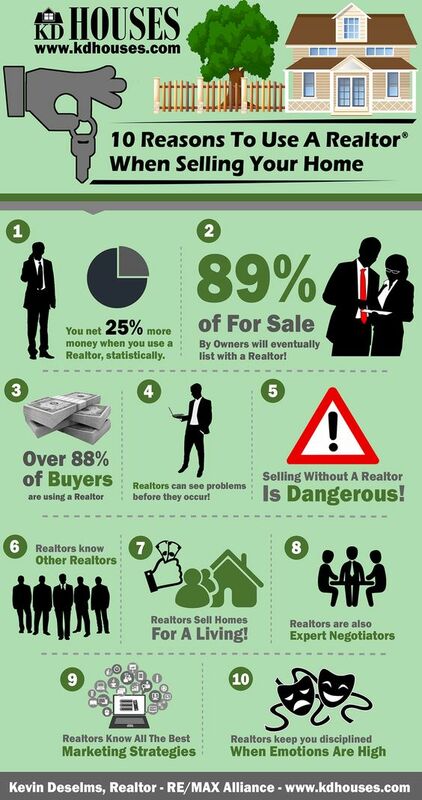 All of these things are difficult to put a price on, but it's why you are hiring a Realtor to help you with your transaction. If you needed open heart surgery, what will be your primary concern: The surgeon's hourly rate, or the result of his performance in the operating room? Much like surgery, real estate is an outcome-based endeavor. A quality Realtor will use all of their skills, expertise and education to maximize your results...they may make it look so easy that you're fooled into believing it IS easy...but it's not! How disciplined can you be when your home has languished for four months in a hot market, and an investor threatens to pull out the only offer you've got, due to an unreasonable objection? Once you're under contract, that's when the real work begins...and there will be numerous points in the process in which a buyer can utilize an exit strategy, leaving a FSBO twisting in the wind, back to square one. Don't let this be you! Hire a Realtor to protect your interests and even in the unlikely even that a deal falls through, you can be sure that another buyer will be waiting in line to go through with the purchase. Who better to market your home than someone who does it for a living? One of the biggest mistakes FSBOs make is creating substandard marketing for their home. Cell phone pictures with bad lighting, lack of quality staging, no video presentation, no social media presence, and very little awareness-building. In my case, I come from a previous career in marketing for film and television, so I leverage that expertise in the marketing of homes. These are not skills that come easily and the difference in outcomes between a home properly marketed, and one that isn't, is pronounced. Search Google for your address after a good Realtor has started their marketing...it will be all over the first page of results, on a wide variety of sites. A FSBO might find their address pushed off the main page of Craigslist by spam, after four or five hours. 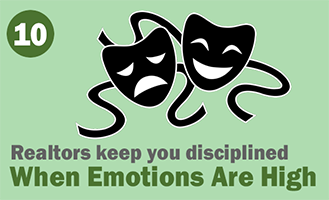 Selling a home is an emotional roller coaster. It's important to maintain the right outlook and mindset, as you go through the process of selling your home. Most people develop a real attachment to it, and have a difficult time separating the emotion from the transaction. 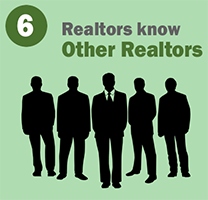 Realtors provide a steady voice and guidance, giving you confidence in the numbers, your marketing, documentation and contracts, so that when you sit down at the closing table there are no worries or fears that something has not been accounted for. That peace of mind is hard to put a price tag on...but FSBOs try to do it, every day. If you are considering the sale of your home, and this blog post has made you reconsider putting it on the market yourself, give me a call or an e-mail and let's set up a time to discuss your goals and concerns. I can make the process as painless and enjoyable as possible for you, as well as netting you the most money for your home! Front range lifestyle ambassador and your new favorite Realtor!